We here the 7 Day Locksmith in San Diego, California provide the best services for your cars. One of the best car we fancy is the strong and elegant Pontiac, may it be the G6, G8, Grand Am, or Buick Cascada. The ignition of a Pontiac can be activated using a traditional key, transponder, or remote key. Providing locksmith services to a Pontiac car can be challenging since it has its own key hole and mechanism design. Our services range from Pontiac key replacement to Pontiac key fob programming, producing special made keys and more. Our company possesses the latest technologies and machineries for our locksmith services. It is also within our protocol to adapt to any changes and innovation, especially those that have a huge impact in locksmith services. Examples are 3D printers and ignition programmers. These machineries can be used either for good or for bad. We use these tools to help others. Our locksmith services are more than just for simple Pontiac key replacement. We also provide the following locksmith services. We offer the best locksmith services from when we first started our operations until now. Our professional team of technicians can work on all kinds of cars and more specifically on all the models of the Pontiac. Here in Locksmith San Diego, we want nothing but the best for our customers. As such, we came up with policies that mainly benefit them. If we cause any damage to your car while performing the service, then we are more than willing to cover for the fees for the repairs. May it be for Pontiac key fob repair or key replacement, we will cover all of the needed resources, labor, and fees. Our professionalism and the security of our services are always ensured during, before, and after we provide our services. You can leave your Pontiac in our company garage for us to do our business, and we will return it to you in one piece. We are also not scavengers who take out the original parts of your car and replace them with junk. When you lose your key and you go to your dealer for a new one, there is a high possibility that the duplicate key won’t be the same as the original key you had. This can lead to more incidents that will really hurt your wallet. Seek our services and we promise to provide you with an exact replica of your key, with the perfect shape and edges. We also encourage our customers to have a custom made key for their car doors and a separate one for their ignition lock. We can also produce a smart key if you want your traditional key to be used only for emergencies. We are always on time when called upon and we always keep in mind that what we do is for the security and maintenance of our customer’s sweet ride. Our key fob repair is also technical because we can conduct diagnostics repairs on the chip and the windings inside. 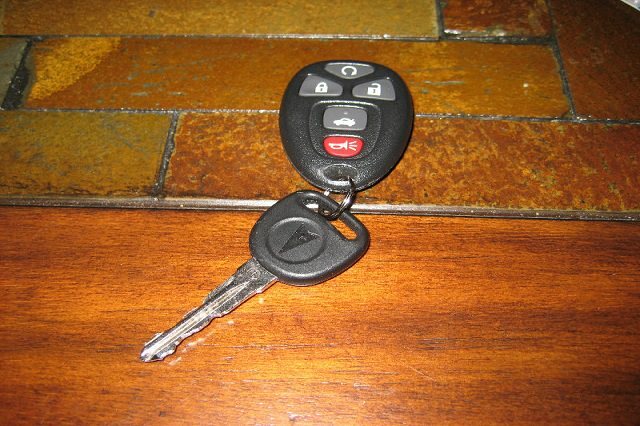 A Pontiac key fob design is consistent for all its models and years of release. 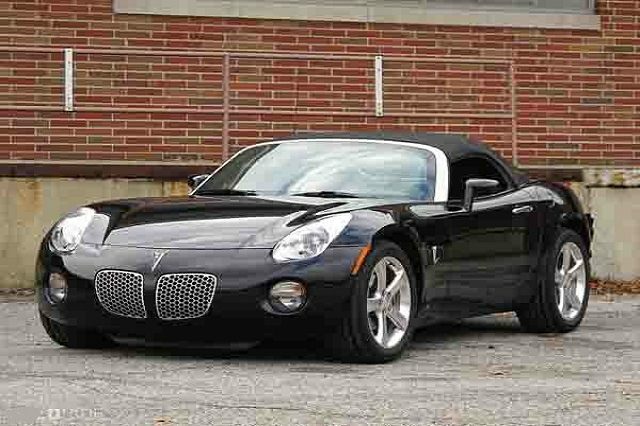 Pontiac Pursuit, Grand, Solstice–you name it. We can produce keyless remotes, key fobs, and traditional keys with the right material. 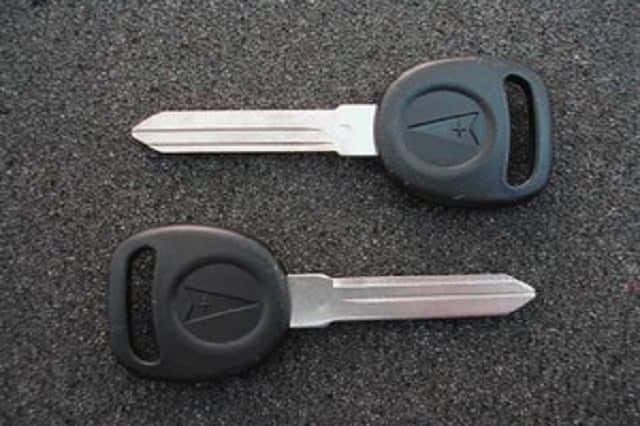 It is more than about duplicating keys; it is about producing keys that won’t damage the car door key hole or ignition key hole upon insertion of the key. This is a usual problem for many car models, that is., the ignition key and car door key might be damaged internally, causing the new key to be completely useless. It might damage or rearrange all the bolts of the lock mechanism. At our company, we want our customers to be in full control, so we advise them to have a traditional key, a keyless remote, and a transponder key with a built-in remote. We do this because we are aware of the statistics of crimes related to the damaging and stealing of automobiles. Just like locksmith companies, robbers and car thieves also use new technologies to break in to your car. They might have a universal transponder programmer, which gives them access to your car and allows them to turn on the ignition. This is why we counter these types of crimes by providing custom made transponders and ignition security systems. We also install custom made alarm systems. We are capable of installing another alarm feature with separate locks as soon as the alarm goes off. These locks can only be opened by the owner’s key or code. One of the best models of the Pontiac is the G6. However. this model has been receiving a lot of bad reviews regarding its Key Fob. Some previous owners state that the alarm system suddenly goes off and the remote or key fob doesn’t function well. This is where we swoop in to the rescue. We are capable of programming your transponder key with a built-in remote so that all buttons are working fine and can cover a wide distance. The transponder key should also be repaired so that the electronic message or function it transmits to the key going to the engine will always activate for the first key turn. The Pontiac G6 was introduced in 2003 with its Pontiac G6 Key Fob and automatic transmission. During those years up to 2005, complaints were flooding in. With innovation, the company managed to fix all the bugs and now Pontiac G6 is selling in the market like pancakes. Working with a Pontiac G6 Key Fob isn’t really that hard. We have a series of steps for programming it every time it malfunctions. These days, it is advisable to use transponder programmers, but we also have manual methods of our own. As a locksmith company for automobiles, we familiarize ourselves with all the characteristics and parts of different cars. For Pontiac models, rest assured that we know how to work with these cars very well. For more information, you can get in touch with us via phone or email. Our quality services don’t match the affordable fees we require. It is all about the quality of work.